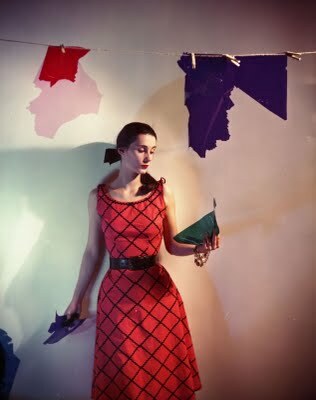 I’m an absolute Cecil Beaton addict. 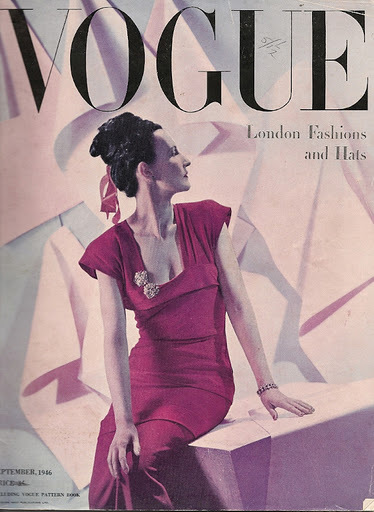 I love his photography, his designs for My fair lady, the history behind the group the bright young people that he belonged to and also the exhibition he curated for the Victoria and Albert museum in 1971 Fashion: An Anthology. 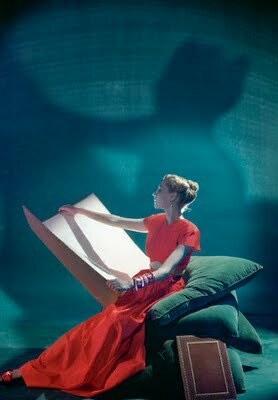 Therefore it’s not surprising that I’m basing my current styling and photography project around the work and background of Beaton. This means sharing lots of examples of Beaton’s work over the coming weeks. SWOON. 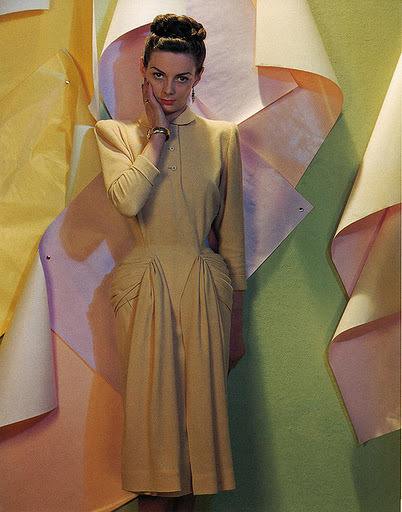 These images come from Vogue shoots by Beaton in the 1940s. 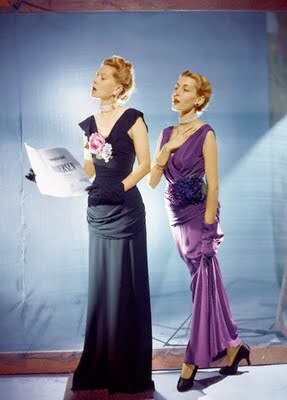 Dresses by names such as Adele Simpson, Mainbocher and Peter Russell. 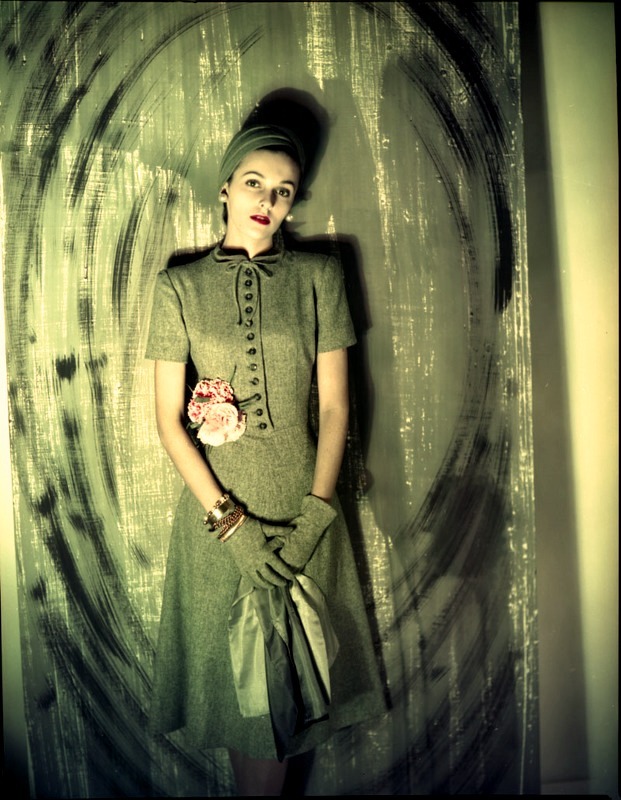 Miss Rayne has been talking about Peter Russell here, do take a look, it is v interesting. Just a quick F.Y.I too, for anyone interested in designers of the 40s and 50s DO keep a look out for vintage copies of shopping magazine for similar examples to the interview that Miss Rayne shows, i’ve found informative interviews with both Hardy Amies and Norman Hartnell in the magazine before, and even better they often go pretty cheaply on ebay! What i love most about these images is the colour, they have a real fantasy look to them, which actually makes me think about the wizard of oz! Definitely using these for my inspiration.